WASHINGTON, Feb. 10, 2014 /3BL Media/ - Housing Professionals at this year’s National Healthy Homes Conference, co-hosted by Rebuilding Together and the U.S. Department of House and Urban Development (HUD), can get green building answers and home improvement advice from HGTV and DIY Network stars Chris Lambton, Matt Muenster, and Tiffany Brooks. Held in in Nashville from May 28-30, 2014, the Conference, titled Leading the Nation to Healthy Homes, Families and Communities, will bring together housing and health professionals from the public and private sectors to share new research and emerging trends, as well as to inform housing policy to help prevent and remediate unsafe housing conditions for families. Attendees can join workshops hosted by Chris, Matt and Tiffany, as well as plenary sessions that dig deeper into healthy housing issues, such as green housing, healthier by design and adaptable housing. In addition, the conference will also focus on home safety, which impacts both the home and well-being of millions of families every day. Chris Lambton, the professional landscaper who first caught America’s eye on The Bachelorette, brings his expertise to HGTV’s gardening and landscaping series, Going Yard. In each episode, Chris and his wife, The Bachelor alum Peyton Wright, transform neglected backyards into amazing outdoor spaces that are perfect for entertaining and relaxing. Chris has also hosted HGTV Yard Takeover, Rose Parade 2013 and RV 2014 and is co-hosting HGTV’s Smart Home 2014 in Nashville with Tiffany Brooks. Born and raised in Dennis, MA, Chris resides on Cape Cod where he and his brother own a family business, E. Lambton Landscaping, and enjoy working with their father. 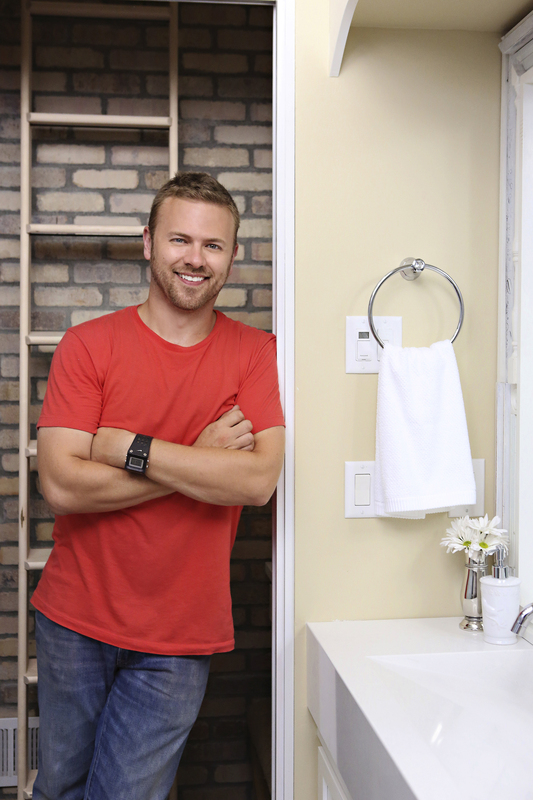 Licensed contractor Matt Muenster sees every house project, whether he’s ripping apart dated bathrooms using the latest construction technology or completely gutting his own kitchen, as a chance to use his clever ideas to achieve great design while integrating earth-friendly elements. He initially got his feet wet designing restaurants and casinos and even worked on the Angolan Project in Africa. Eventually, Matt’s fervor for design shifted to the residential sector. His professional experience includes high-end interior design, and he gets an adrenaline rush every time he transforms a boring bathroom into a fantastic one on DIY Network’s Blog Cabin or Bath Crashers. Tiffany Brooks, HGTV Star season eight winner and host of HGTV’s America’s Most Embarrassing Rooms, is a wife and working mom who loves spending time growing her residential interior design business. She first demonstrated her design talent when she was offered the opportunity to stage model homes while working in property management. After one of her model-home designs won an award, she decided to follow her passion for interior design full-time. She describes her design style as "classic with a twist," and enjoys mixing traditional pieces with a little rock 'n' roll. Tiffany is co-hosting HGTV’s Smart Home 2014 in Nashville with Chris Lambton. HUD is partnering with Rebuilding Together, HGTV, and DIY Network to host more than 2,000 national health and safety experts in Nashville from May 28-30, 2014, at the National Healthy Homes Conference (NHHC). The Conference will bring together housing and health professionals from the public and private sectors to share new research and emerging trends, as well as to inform housing policy to help prevent and remediate unsafe housing conditions for families. You can find out more information, including how to register, at www.healthyhomesconference.org. Rebuilding Together is a Safe and Healthy Housing organization that believes Community Starts at Home. Our focus provides critical repairs, accessibility modifications and energy efficient upgrades to low-income homes and community centers at no cost to service recipients. Our impact extends beyond the individuals served to revitalize and stabilize vulnerable neighborhoods and communities across the country. Our 187 local affiliates complete more than 10,000 rebuild projects a year thanks to the efforts of 100,000 volunteers from corporate partners, skilled trades professionals and everyday good citizens. Join us- visit www.RebuildingTogether.org. America’s leading home and lifestyle brand, HGTV features a top-rated cable network that is distributed to more than 98 million U.S. households and the HGTV website, HGTV.com, the nation’s leading online home-and-garden destination that attracts an average of four million unique visitors per month. The brand also includes the HGTV HOME™ consumer products line which showcases exclusive collections of paint, flooring, lighting, furniture, plants, fabrics and other home-oriented products. For more information on HGTV HOME branded products and to find a retailer, go to www.hgtvhome.com. In partnership with Hearst Magazines, the HGTV Magazine, a home and lifestyle publication, is currently available on newsstands. Viewers can become fans of HGTV and interact with other home improvement enthusiasts through Facebook, Twitter, Pinterest and Instagram. Headquartered in Knoxville, Tenn., HGTV is wholly owned by Scripps Networks Interactive, Inc. (SNI). DIY Network, from the makers of HGTV and Food Network, is the go-to destination for rip-up, knock-out home improvement television. DIY Network's programs and experts answer the most sought-after questions and offer creative projects for do-it-yourself enthusiasts. One of the fastest growing digital networks and currently in more than 56 million homes, DIY Network's programming covers a broad range of categories, including home improvement and landscaping.